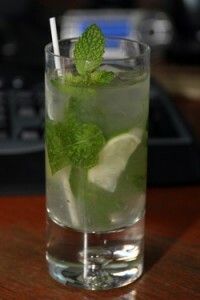 I am writing this entry via Microsoft’s new Blog editor called Live Writer. 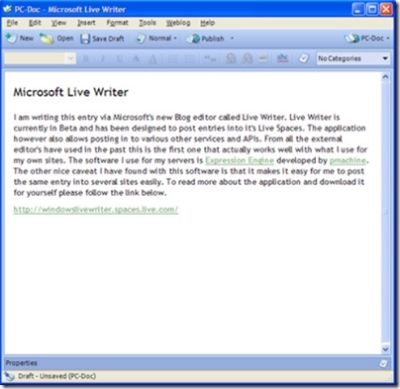 Live Writer is currently in Beta and has been designed to post entries into it’s Live Spaces. The application however also allows posting in to various other services and APIs. From all the external editor’s have used in the past this is the first one that actually works well with what I use for my own sites. The software I use for my servers is Expression Engine developed by pmachine. The other nice caveat I have found with this software is that it makes it easy for me to post the same entry into several sites easily. To read more about the application and download it for yourself please follow the link below.